Located in Bedugul area, Candikuning village, Baturiti sub-district, Tabanan district, Bali. Approximately 55 km from the city of Denpasar, Lake Bratan is located at an altitude of ± 1240 m above sea level, the temperature in the Beratan lake area (Bedugul area) is approximately 18 ° C at night and ± 24 ° C during the day. Lake Beratan is one of the 20 best and most beautiful lakes in the world (The World's 20 Most Beautiful Lake, source: www.huffpost.com). Lake Bratan is well known as one of the best tourist destinations visited by thousands of foreign and domestic tourists. The fresh mountain air with beautiful views of the lake, temples and mountains and away from the noise of the city make this place a favorite tourist attraction and tourist attraction recommended for a visit on a holiday on the island of the gods. In the lake area is also facilitated with adequate accommodation such as hotels, villas, restaurants for the convenience of visitors. For those of you who like water tourism, in the Beratan lake area there are also water games such as parasailing, canoeing or jetskiing. In the eastern part of Lake Bratan there is a mountain called Gunung Catur (Balinese call it Pucak Mangu) as a very good place for hiking, and not far from the lake area there are also other interesting tourist attractions such as Bedugul Eka Karya botanical garden, fruit market and Bedugul vegetables, and there are also Lake Buyan and Lake Tamblingan. Here are the popular attractions that are closest to Lake Beratan. Where you can choose to see nearby objects or activities that you might know and like. 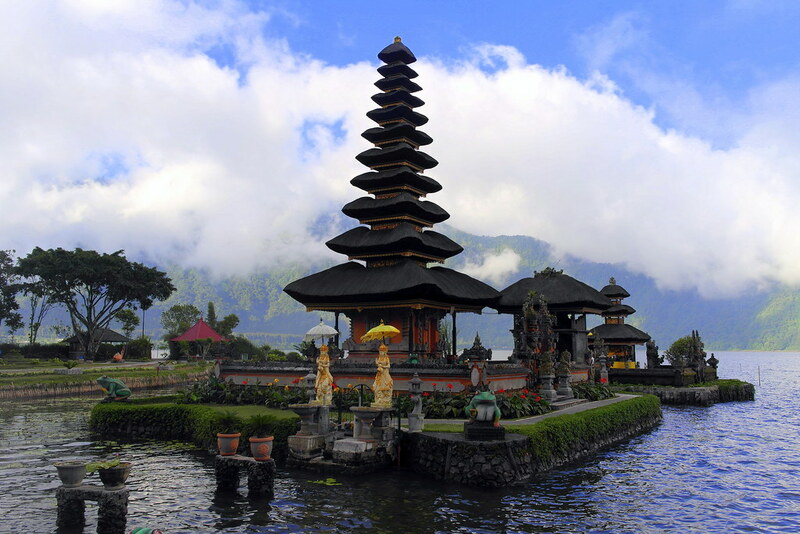 If you have interest to Lake Beratan, you can freely add it as reference to your Bali Tours future plan.